This menu has 5 items on it. You can access Module 1 but for the rest you have to upgrade and become an SFM member. Module 1 has quite a lot in it and so do all the subsequent modules so I will cover each module with one or more posts. There are 2 videos and an overview on this page. I wanted to write this article because of 2 internet related things that I spotted recently. The first is that the latest Google Maps has no obvious “Print” button, it is there but buried, and the second was this www.resetthenet.org which is about what governments are trying to do with the internet. 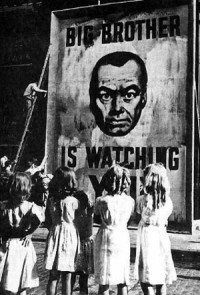 Mostly the US NSA in this case. 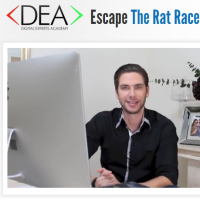 If you are going to learn about Digital/Internet Marketing and/or earn money from promoting a training program then it’s a good idea to take a look and see what you are going to get. 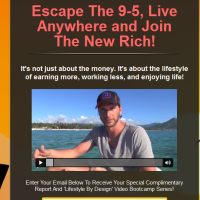 This is the 15th Lead Capture Page* that I want to show you … “Living The Laptop Lifestyle V2 Video”. 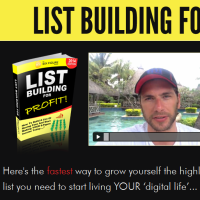 This is the 14th Lead Capture Page* that I want to show you … “List Building For Profit”. 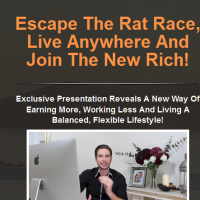 This is the 13th Lead Capture Page* that I want to show you … “Join The New Rich”. This is the 12th Lead Capture Page* that I want to show you … “Join The New Rich V2”. 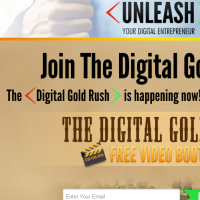 This is the 11th Lead Capture Page* that I want to show you … “Join The Digital Goldrush”. 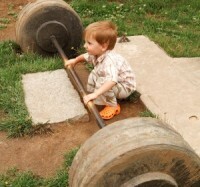 Can We Deliver What We Expect? By nature I tend to give benefit of doubt. This annoys my wife who just thinks I’m always defending other people. I tend to say things like “well, maybe there was a good reason”, “Perhaps we should hear both sides of the story” or “everyone makes mistakes”. Sometimes she’s right and perhaps I see the best when it’s not always there but I prefer giving the benefit of doubt than damn everyone who makes a mistake. This is the 9th Lead Capture Page* that I want to show you … “High Ticket Commissions VSL”. 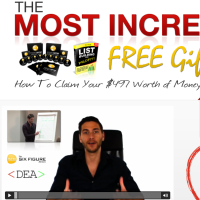 This is the 8th Lead Capture Page* that I want to show you … “Free Videos”. 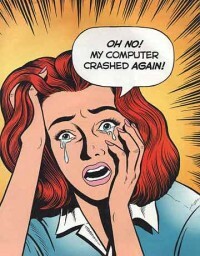 On Thursday 20th February 2014 my PC crashed and I could not recover it this time without major surgery. I knew it was coming. My PC had slowed down markedly all of a sudden and I could hear the disc chattering more than usual. Sounded like bad sectors to me (areas on the disc probably worn out). And which bits of the disc get used the most? Yep, the important bits where the operating system lives. This is an article from Jessica Abraham of the Orlando Marketing Examiner published on June 17th 2013 RE: “www.examiner.com/article/digital-experts-academy-is-unleashed-to-provide-newbies-with-ultimate-training“. 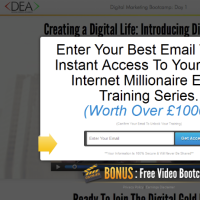 This is the 7th Lead Capture Page* that I want to show you … “Free Training”. This is the second in a series of posts about the Six Figure Mentors (SFM) back office and what you would experience if you became a member. After having a look around the Dashboard the next logical area to look at is the drop down menu Item “Home”. As you can see there are 4 items on it at the moment. The first item just takes you back to the Dashboard which we have already covered so let’s look at the next 3. 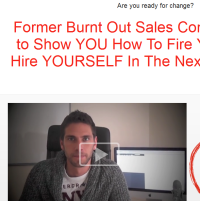 This is the 6th Lead Capture Page* that I want to show you … “Fire Your Boss & Hire Yourself – Stuart Ross”. You can overlay one image onto another so that the foreground image does not completely obscure the background. Here are a couple of ways this can be done. 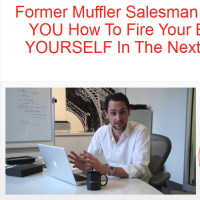 This is the 5th Lead Capture Page* that I want to show you … “Fire Your Boss & Hire Yourself – Jay Kubassek”. 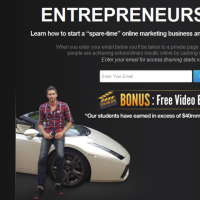 This is the 4th Lead Capture Page* that I want to show you … “Entrepreneurs Wanted”. 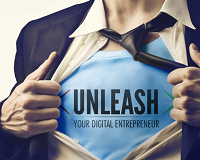 This is the 3rd Lead Capture Page* that I want to show you … “Entrepreneurs Unleashed”.